Well, hello, Tink! 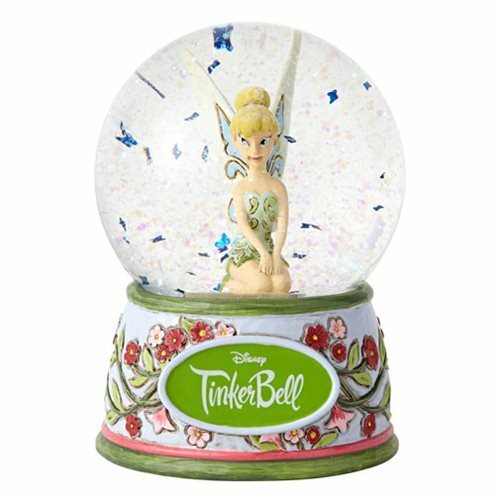 Spunky, rebellious Tinker Bell poses coyly in this magical Disney Traditions Disney Fairies Tinker Bell 5 1/2-Inch Water Globe. Skilled artisans sculpt the handcrafted design from high-quality stone resin and hand paint every detail for a flawless finish. Give the base a shake to send up a flurry of confetti... or is that fairy dust? Made of stone resin and glass, it measures about 5 1/2-inches tall x 4-inches in diameter.